Thanks for joining me Annabel. First of all, would you tell me a little about yourself? I stumbled across the story of Lucia Joyce, the daughter of James Joyce, and was so outraged by the way she’d been erased from history, that I decided she needed resurrecting. When I couldn’t find a full account of her experiences in 1920s Paris anywhere, I decided to research it. When I realised there wasn’t sufficient material to write another biography, I decided to fictionalise her life. I hadn’t intended to write a novel – but that’s what happened. I was so busy researching and trying to juggle my family life I had no time to attend any courses, so I taught myself using How To books and by studying the novels of contemporary writers I admire. When I had a reasonable draft I entered a few competitions. The novel was longlisted for the Caledonia Novel Award, then the Bath Novel Award. Two months later it won the Impress Prize for New Writing. So Impress published it. By then I had an agent and she has since sold it to Hachette in Australia and New Zealand and Aufbau Verlag in Germany. It’s now on submission in the US and in the hands of Hollywood producers, thanks to a film agent who agreed to represent me. 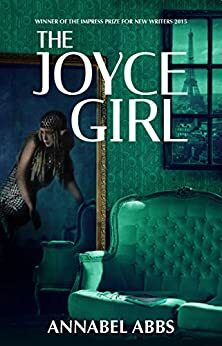 The Joyce Girl is based on accounts of Lucia Joyce, a dancer in 1920s Paris and the daughter of Irish writer, James Joyce. She had affairs with Samuel Beckett and the American sculptor, Alexander Calder. She then had a series of breakdowns and was sent to Carl Jung, the psychoanalyst in Zurich. She spent the last fifty years of her life in an English mental asylum. I was very wary about using the word ‘Girl’ as it seemed overdone and clichéd – even three years ago when I first came up with it. So I gave it a different title when I entered it for the Impress award and called it My Perfect Mind. But my editor much preferred The Joyce Girl as it says so precisely what the novel’s about. Lucia is never allowed to grow up and never recognised for who she is, only as her father’s daughter – so every word of the title accurately reflects her predicament. The novel was launched on Bloomsday – the day that all Joyce fans celebrate. It’s the day on which Ulysses is set. 16th June! Hachette Australia launched it on 31st August with a very high profile marketing campaign which includes posters in subways. It was one of September’s iBooks of the month there. I’ve just completed my second novel and my agent is reviewing it before it goes on submission. It’s in the same genre – biographical fiction. This is such an exciting new(ish) genre, that’s been made popular by the likes of Hilary Mantel. I love the way biography and fiction and history are blurring and blending. My second novel tells the story of the real Lady Chatterley but involves multiples points of view and is in the third person, unlike The Joyce Girl. I’ve been intensively re-reading DH Lawrence as part of my research, but recently I’ve really enjoyed The Words in My Hand by Guinevere Glasfurd and A Country Road, A Tree, by Jo Baker. Both fall into the same genre of biographical fiction. I try and read everything in this category – it’s always fascinating to see how different novelists approach and interpret their subject/character. I read from a book every night, from a kindle when I have insomnia, and I listen to hundreds of audiobooks when I’m running around doing chores or walking the dog. 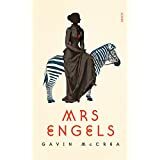 I would be Lizzie in Gavin McCrea’s Mrs Engels – just for the chance to observe Engels at first hand and speak in that wonderful voice of hers. But I’d only want to be her as a character, not as the real person on whom she’s based. Is that allowed? I know you will love The Joyce Girl when you get to it. It is an amazing book. fabulous to hear more about Annabel.